Sometimes you're looking to hit an older generation and the size 12 font just isn't big enough. Don't worry, we've got you covered. 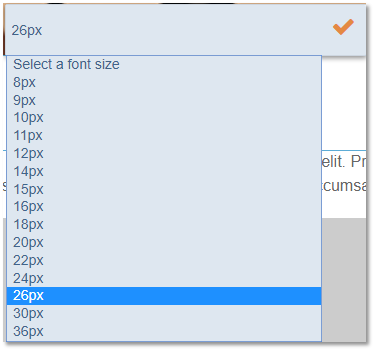 To change the font size in your dedicated email, follow the instructions. 2) Click the ‘T’ icon. 3) Click the dropdown menu and select the font size you would like to use. 4) Click the check mark to confirm your selection.